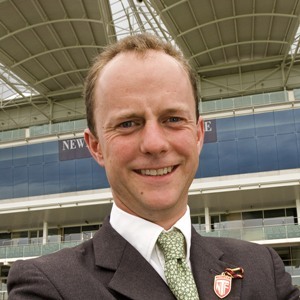 David Lanigan spent his school holidays riding out for the likes of Vincent O’Brien, John Oxx and Edward O’Grady and, after completing a degree at the Royal Agricultural College at Cirencester, headed across the Atlantic to work at John Jones’ Walmac International, where he handled stallions such as Alleged, Nureyev and Miswaki. After five years in Kentucky, he returned to Britain in November 2002 to begin a five-year spell as assistant to Henry Cecil, where he was involved in the preparation of 2007 Investec Oaks winner Light Shift. He took out a training licence in October 2007 at Revida Place in Newmarket, but moved to Bjorn Nielsen’s Kingsdown Stables in Upper Lambourn in December 2011. Lanigan boasts high-profile owners such as John Magnier, the Niarchos Family, Bjorn Nielsen and several Dubai-based associates of the Maktoum family. Lanigan came close to Epsom Classic success when Meeznah was second in the 2010 Investec Oaks and although she was subsequently disqualified, she won two Group races in 2011 including the Group 2 Park Hill Stakes at Doncaster in September. Main Sequence, his first runner in the Investec Derby, ran a fine race to take second behind runaway winner Camelot on 2 June 2012 but failed to win a race thereafter.